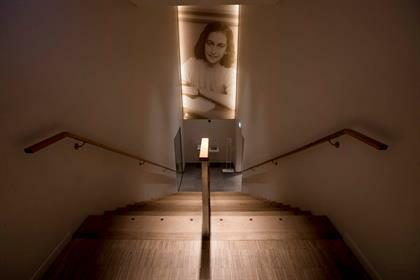 The museum built around a secret annex in a canal-side house where Anne Frank hid from Nazis during World War II has been renovated to better tell the teenage Jewish diarist's tragic story to a new generation of visitors who may know little about the horrors of the Holocaust. 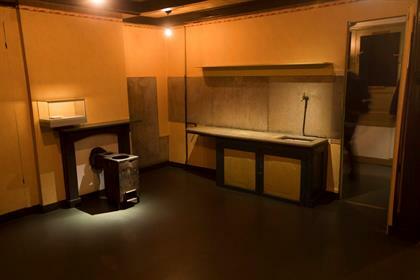 What has remained the same is the museum's moving centrepiece: the Spartan secret annex where Anne wrote her world-famous diary. Anne, her sister and their parents hid in the annex with four other Jews from July 1942 until they were arrested in August 1944 and deported to concentration camps. 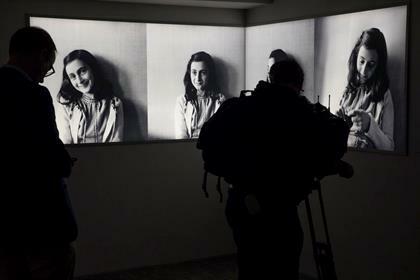 Only her father, Otto Frank, survived. 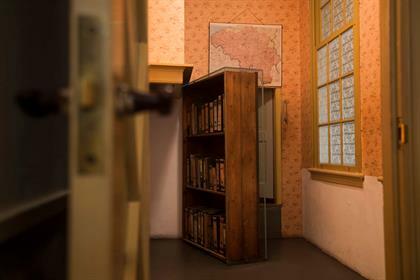 "Of course we did not change the hiding place itself - the annex - which is the most authentic place where Anne Frank was in hiding and where she wrote the diary," Leopold said. In a major overhaul spanning two years, the museum got a new entrance and changes to rooms including the darkened space that displays the iconic books that made up Anne's diary. The museum also has revamped the way it tells the story of the Frank family, and by extension the Nazi persecution of Jews. That larger history includes the Nazi-occupied Dutch capital during the war "and, of course, European history because all Europe was affected by the Nazi rule," Brink said. As well as the physical changes, the museum now has an audio tour which pieces together fragments from the diary, family stories and historical perspective. That allowed curators to keep physical exhibits sparse while still explaining the Franks' story and putting it in historical context. For example, a room that served as the office for Anne's father's company used to contain office furnishings. Now it is virtually empty with just a few photos on the wall. One shows a group of Jewish men in Amsterdam kneeling, their hands on their heads, watched over by a Nazi soldier carrying a rifle. 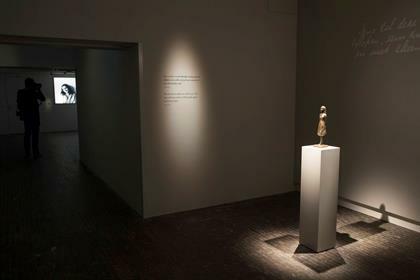 The museum remained open throughout the renovations. Dutch King Willem-Alexander will formally open the refurbished landmark on Thursday. Telling Anne's story remains relevant more than 60 years after Anne and her sister both perished in the Bergen-Belsen concentration camp after contracting typhus. Earlier Wednesday, the head of the European Jewish Congress, Moshe Kantor, warned at a conference in Vienna that "Jewish communities in Europe are increasingly concerned about their security and pessimistic about their future." Leopold said the museum, which receives 1.2 million visitors annually, has an important role to play in combating anti-Semitism. Find Your Escape by searching and comparing flight prices here. You can also sign-up for the Traveller24 Weekly Newsletter –Subscribe here. Or download the News24 App here, to receive expertly curated travel ideas and deals directly to your mobile.